There are a broad set of scenarios that are enabled by making calls into the intelligent cloud-services offered by Cognitive Services around vision, speech, knowledge, search and language. I’ve written quite a lot about those services in the past on this blog and I showed them at events and in use on the Context show that I used to make for Channel 9 around ever more personal and contextual computing. In the show, we often talked about what could be done in the cloud alongside what might be done locally on a device and specifically we looked at UWP (i.e. on device) support for speech and facial detection and we dug into using depth cameras and runtimes like the Intel RealSense cameras and Kinect sensors for face, hand and body tracking. Some of those ‘special camera’ capabilities have most recently been surfaced again by Project Gesture (formerly ‘Prague’) and I’ve written about some of that too. which brings to the UWP the capability to run pre-trained learning models inside an app running on Windows devices including (as the blog post that I referenced says) on HoloLens and IoT where you can think of a tonne of potential scenarios. I’m particularly keen to think about this on HoloLens where the device is making decisions around the user’s context in near-real-time and so being able to make low-latency calls for intelligence is likely to be very powerful. I took part in a couple of hack events at UK universities in the past couple of months that were themed around cognitive services and had a great time watching and helping students hack on the services and especially the vision services. 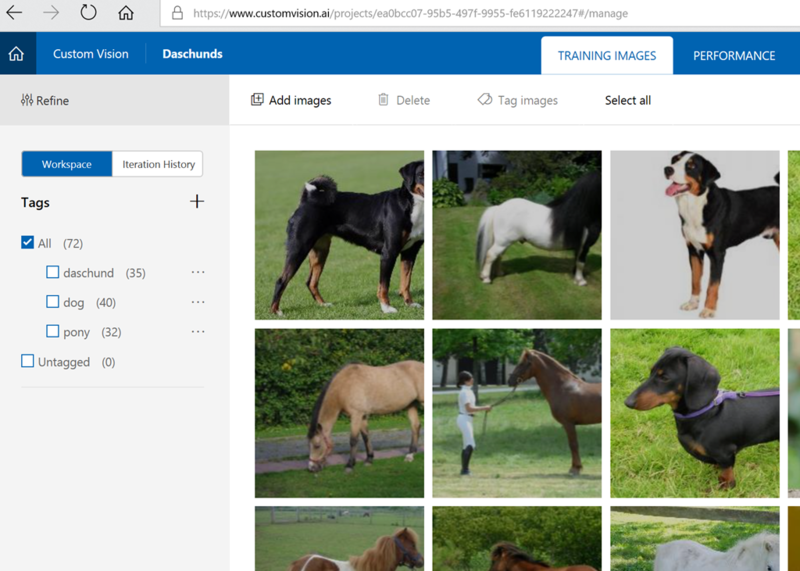 and I found it to be a really accessible service to make use of and I very quickly managed to build an image classification model which I trained over a number of iterations to differentiate between pictures which contained either dachshund dogs, ponies or some other type of dog although I didn’t train on too many non – dachshunds and so the model is a little weak in that area. 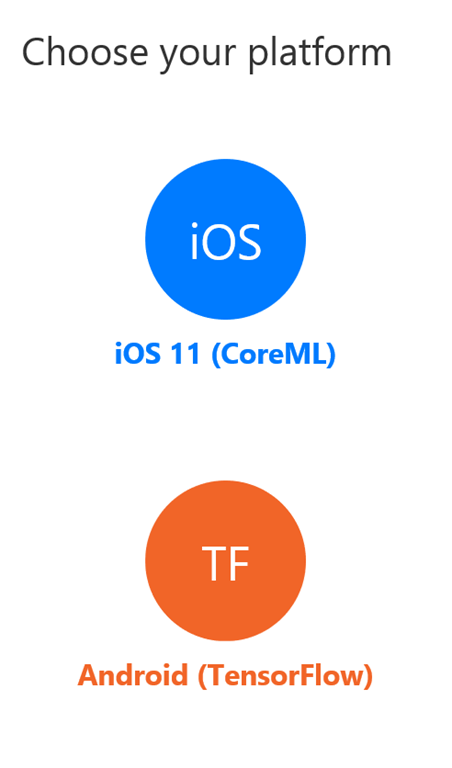 and my frustration in looking at these pieces was that I had absolutely no idea how I would export one of these models and use it within an app running on the Universal Windows Platform. 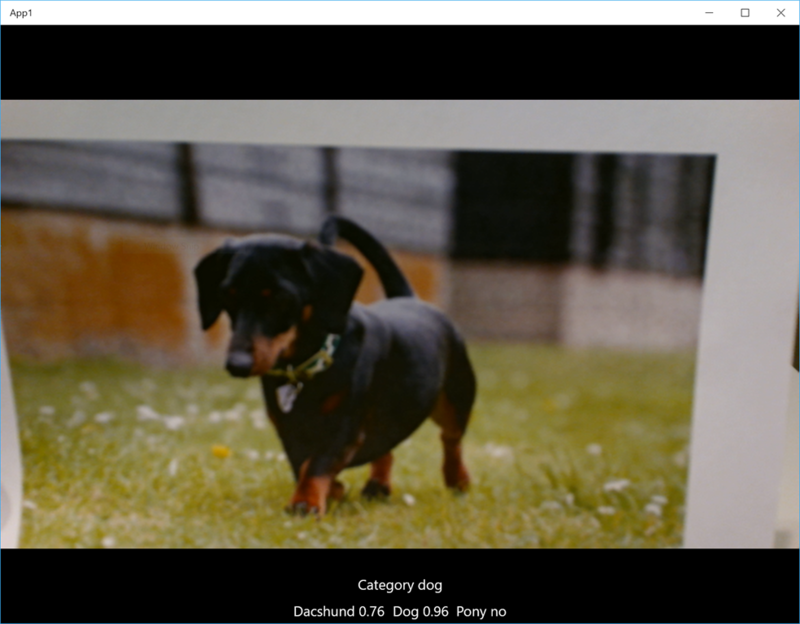 Naturally, it’s easy to understand why iOS and Android support was added here but I was really pleased to see that announcement around Windows ML and I thought that I’d try it out by taking my existing dachshund classification model built and trained in the cloud and seeing if I could run it against a video stream inside of a Windows 10 UWP app. 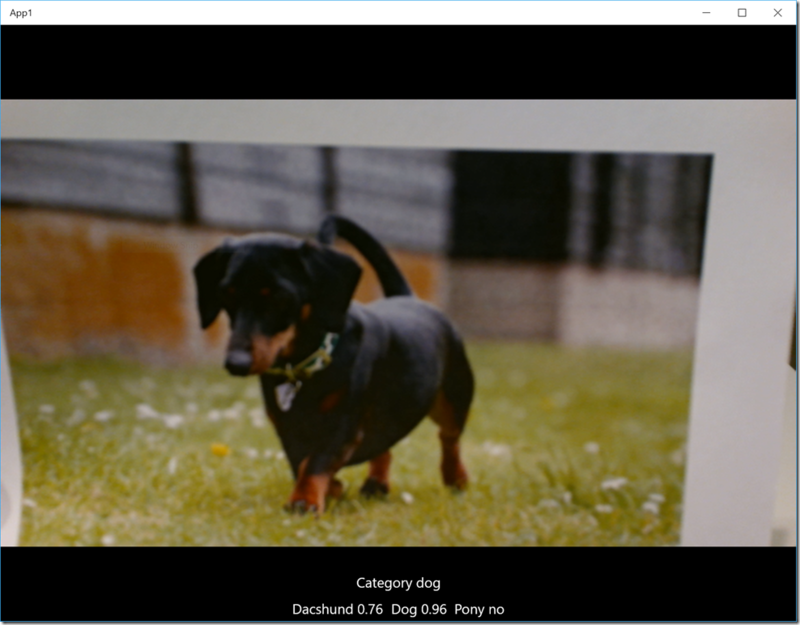 and then I used the “Export” menu to save it to my desktop in CoreML format named dachshund.mlmodel. and set about trying to get the right bits of software together to see if I could make an app. At the time of writing, I’m running Windows 10 Fall Creators Update (16299) as my main operating system and support for these new Windows ML capabilities are coming in the next update which is in preview right now. 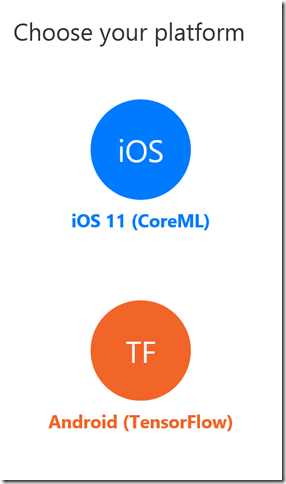 I grabbed the Windows 10 SDK 17110 Preview from the Insiders site. I didn’t have an Python installation on the machine in question so I went and grabbed Python 2.7 from https://www.python.org/. I did initially try 3.6 but had some problems with scripts on that and, as a non-Python person, I came to the conclusion that the best plan might be to try 2.7 which did seem to work for me. and that seemed to give me all that I needed to try and convert my model. Having converted my model, though, I thought that I’d see if I could write some code against it. 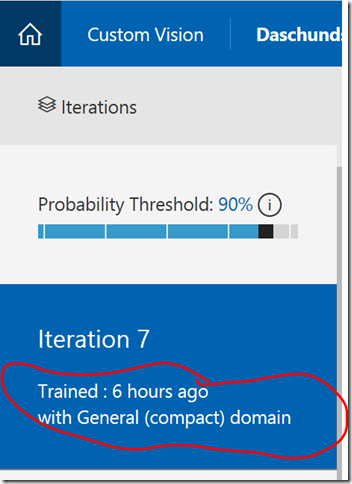 and it spat out some C# code (it also does CPPCX) which is fairly short and which you could fairly easily construct yourself by looking at the types in the Windows.AI.MachineLearning.Preview namespace. // "The binding is incomplete or does not match the input/output description. (Exception from HRESULT: 0x88900002)"
// And I couldn't find symbols for Windows.AI.MachineLearning.Preview to debug it. // to the 3 classifications that my classifier produces. // MIKET: this generated line caused me trouble. See MIKET comment above. I spent quite a bit of time debugging an exception that I got by passing an empty Dictionary<string,float> as the variable called “loss” as I would see an exception thrown from the call to LearningModelBindingPreview.Bind() saying that the “binding is incomplete”. With that, I had some generated code that I thought I could build into an app. 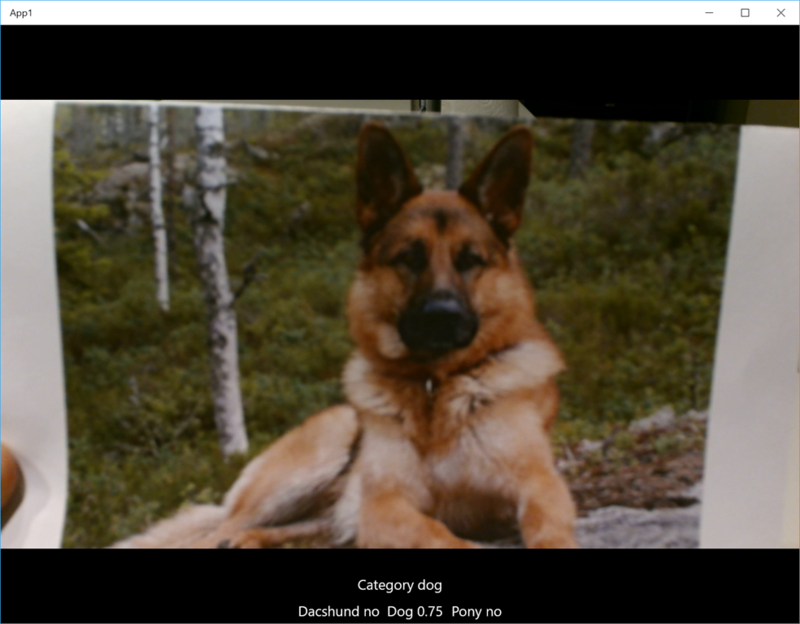 I made a very simple UWP app targeting SDK 17110 and made a UI which had a few TextBlocks and a CaptureElement within it. and then I wrote some code which would get hold of a camera on the device (I went for the back panel camera), wire it up to the CaptureElement in the UI and also to make use of a MediaFrameReader to get preview video frames off the camera which I’m hoping to run through the classification model. /// stuff to try and resize it but it's not pleasant at all. // We now need an encoder, should we keep creating it? In doing that, the main thing that I was unclear about was whether I need to resize the VideoFrames to fit with my model or whether I could leave them alone and have the code in between me and the model “do the right thing” with the VideoFrame? Partly, that confusion comes from my model’s description seeming to be say that it was expecting frames at a resolution of 227 x 227 in BGR format and that feels like a very odd resolution to me. Additionally, I found that trying to resize a VideoFrame seemed to be a bit of a painful task and I didn’t find a better way than going through a SoftwareBitmap with a BitmapEncoder, BitmapDecoder and a BitmapTransform. Attempt to resize the VideoFrame to 227 x 227 before passing it to the underlying evaluation layer. I’ve a feeling that it’s ok to leave the VideoFrame untouched but I’m about 20% sure on that at the time of writing and the follow on piece here assumes that I’m running with that version of the code. How does the app work out? I’m not yet sure and there’s a couple of things where I’m not certain. 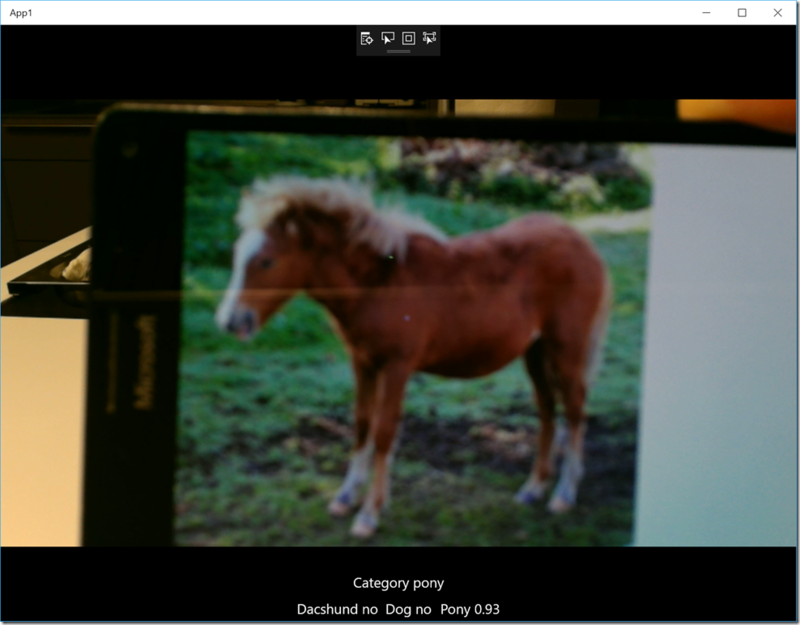 I’m running on a Surface Pro 3 where the camera has a fixed focus and it doesn’t do a great job of focusing on my images (given that I’ve no UI to control the focus) and so it’s hard to tell at times how good an image the camera is getting. I’ve tried it with both the front and back cameras on that device but I don’t see too much difference. I’m unsure of whether the way in which I’m passing the VideoFrame to the model is right or not. 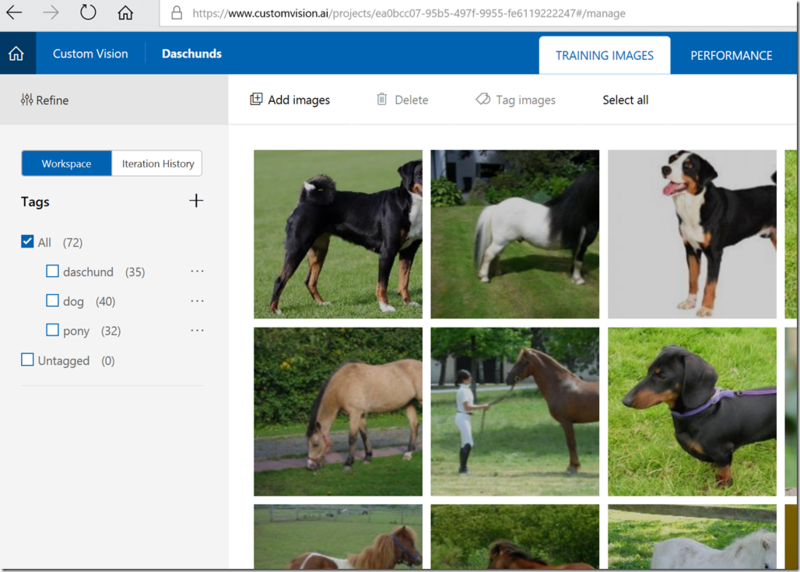 But I did run the app and presented it with 3 pictures – one of a dachshund, one of an alsatian (which it should understand is a dog but not a dachshund) and one of a pony. I’m not sure about the category of ‘dog’ here but the app seems fairly confident that this is both a dog and a dachshund so that seems good to me. and so that seems to work reasonably well and that’s the code which does not resize the image down to 227×227 and I found that the code that did resize didn’t seem to work the same way so maybe my notion of resizing (or the actual code which does the resizing) isn’t right. First impressions here are very good in that I managed to get something working in very short time. Naturally, it’d be interesting to try and build a better understanding around the binding of parameters and I’d also be interested to try this out with a camera that was doing a better job of focusing. I’d also like to try some of this out on other types of devices including HoloLens as/when that becomes possible. Keep in mind that this is just my first experiment, I’m muddling my way through and it looks like the code conditionally compiled out with the RESIZE constant can be ignored unless I hear otherwise and I’ll update the post if I do. Thanks for this. 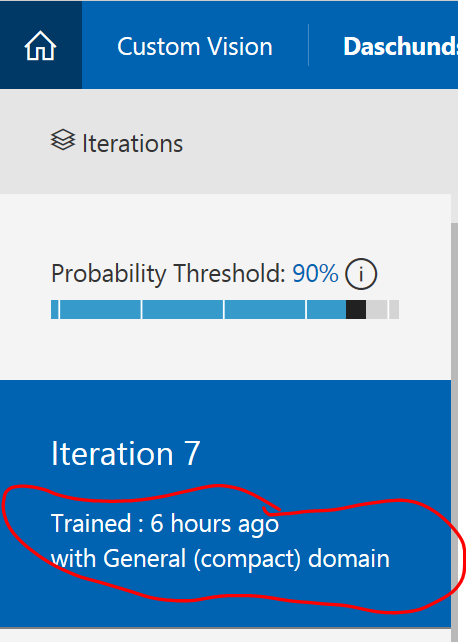 It was fascinating because I’d assumed all of the Windows ML stuff was using neural networks. I just looked it up and it’s using SVM (scalable vector models) instead. Which is exactly what I’ve been tearing my hair out over using libSVM to make a stylus-based handwriting recognition tool. 1. The image size of 227×227. If it works fine without you having scaled it, then it’s probably doing the resizing internally. The images used in training the model need to be exactly the same size and have the same format. It’s possible that it didn’t work well when you did the scaling due to the alpha channel. BGR vs BGRA maybe?